While fact-checkers have disputed the claim, the Rev. Jesse Jackson used to frequently say that there were more black men in prison than in college. It’s a brilliant idea, but only if those raises go to the best teachers. You won’t elevate academics in low-performing schools — and you won’t alter the life trajectory for millions of impoverished students — unless you give them excellent teachers. Just giving raises to all the teachers currently in those schools compounds the problem. Here’s an ugly little secret: The worst teachers are rarely fired. Civil service protections and union contracts make it too difficult to get rid of them. They are merely shunted off to schools in poor neighborhoods, where parents don’t have the social capital or the political sophistication to complain. Research has borne that out time and again. A recent study in Washington state showed that students of color, academically challenged students and low-income students got fewer good teachers, as measured by experience, teachers’ scores on basic- skills tests and value-added (measuring student growth not just test scores) evaluations. That data echoed other findings. A 2013 study of 29 school districts revealed that students who receive free or reduced- school lunches (an indicator of poverty) are more likely to be taught by less-effective teachers than their more affluent peers. That’s something I’d already learned from years of watching local school politics. When urban neighborhoods gentrify, the new homeowners, usually well-educated professionals, scrutinize the local schools, demanding the best principals and teachers. Administrators comply, shipping in highly qualified educators. But the less-skilled principals and teachers aren’t given pink slips. They are quietly moved to poor neighborhoods, where parents don’t complain. That’s an outrageous abuse of students who are already disadvantaged. Those kids need excellent teaches even more than their wealthier counterparts. One way to do that, he suggested, is for school districts to “create five positions at each of those high-poverty schools for accomplished teachers who’d mentor their peers” and get a $25,000 a year raise. That’s an excellent idea — if those teachers receive evaluations that take student performance into account. 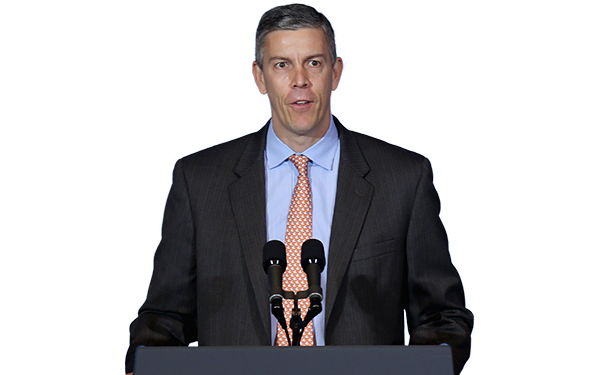 President Obama and his education secretary have put in place several incentives to encourage states to adopt serious and practical standards for teacher accountability, including evaluations tied to student performance. But teachers’ organizations have fought the idea vociferously. You’re likely to hear teachers heap praise on Duncan’s call for higher pay for those working in disadvantaged schools. And there’s no doubt that highly effective teachers in impoverished classrooms deserve more money. But raises ought to go only to those teachers who can really make a difference in the lives of poor kids. If we’re serious about shutting down the schools-to-prison pipeline, we’ve got to get serious about raising the standards for teachers.